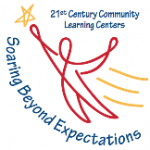 There is no cost for the 21st CCLC Afterschool Program. Participants are expected to attend 5 days/week. PROGRAM PARTICIPATION FOR AFTERSCHOOL: By enrolling students in the CW Program, Parents hereby understand that during afterschool programming parents must sign out their scholar each day. Students must be picked up daily by 6:00pm. If a parent is late three times, the student may be dropped from the program. If a parent/guardian can not be reached, or has not contacted CW within 15 minutes following dismissal, additional measures may be taken in order to solidify the safety of the student. CW will make every reasonable effort to only release students to the person (s) designated by the parent/guardian on the registration form. Once a scholar is signed out by a parent/ guardian the CW Program is no longer responsible for that student. Parents must come into the designated area to sign-out his/her scholar on the sign out sheet, and then wait for the staff to locate the student. If a student is to be released to anyone other than the person listed, the Site Director must be notified, directly. I.D. will be required if someone unfamiliar to CW staff arrives to pick up your student. A Site Director may call the parent to verify any written authorizations to release a student to someone else. DISCIPLINE: This program is an extension of KDHS’s school day. Therefore, we will follow the same discipline as the school. Disruptive or disrespectful behavior toward other students or staff will not be permitted and will be cause for dismissal from the program. RECORDS: CW requires that you submit a copy of your student’s report card in December of 2018 and in May of 2019. This is for evaluation purposes as funding for this program is made possible by the 21st Century Community Learning Centers federal grant.